London is known for having some of the best afternoon teas in the world and the city offers a lot more than the traditional hotel high tea. With afternoon teas becoming more and more popular with tourists, places are coming up with creative ways to make their afternoon tea stand out amongst the many already in London. Some try and stand out by being the cheapest afternoon teas in London, while others stand out by offering a less traditional experience such as the Gin Lovers Afternoon Tea that also includes cocktail tasting while driving around on an iconic London red bus. 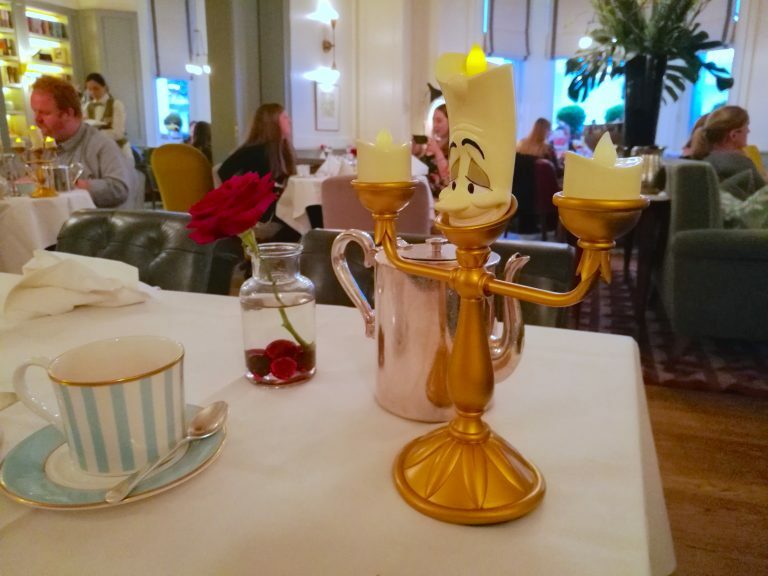 What seems to be an increasing trend in London recently though are themed afternoon teas and I’ve enjoyed several disney afternoon teas which I thought were some of the best afternoon teas in London. These are great fun as they connect us to our happy memories of enjoying Disney as children. 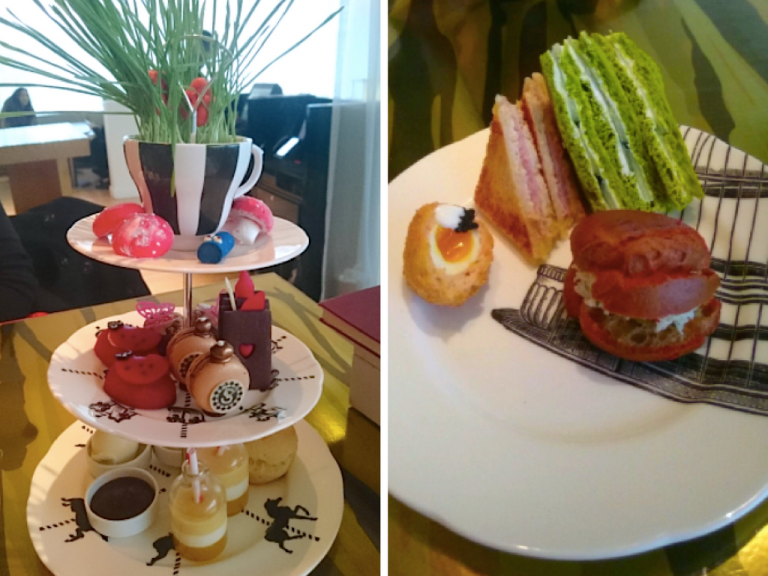 So, here are a few Disney themed afternoon teas in London for you to enjoy. Located high above London on the 31st floor of The Shard, Aqua Shard invites guests to take a stroll down memory lane with their exciting new afternoon tea. 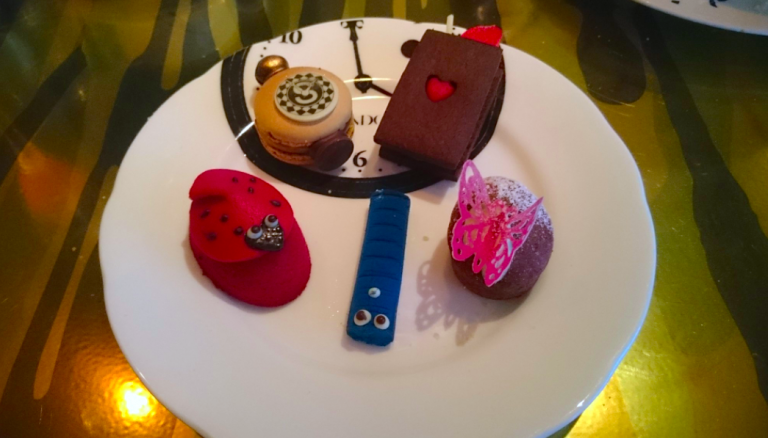 Ok, so technically not a Disney themed afternoon tea since their inspiration comes from the books by P.L. Traver rather than the Disney movie, but I still thought it needed sharing on this list. After all, who wouldn’t want to have afternoon tea at the shard? 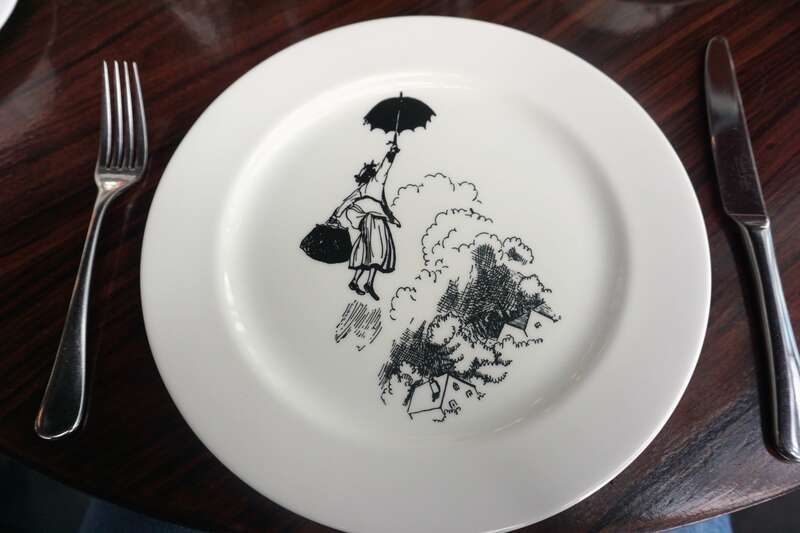 My friends and I entered Aqua Shard which has fantastic views of the city to a beautifully decorated table covered in cute Mary Poppins tableware. After we had sat down we were offered the choice of a Mary tea or a Bert Tea. The Mary tea is a slightly sweet floral tea and the Bert tea is a more smokey tea. 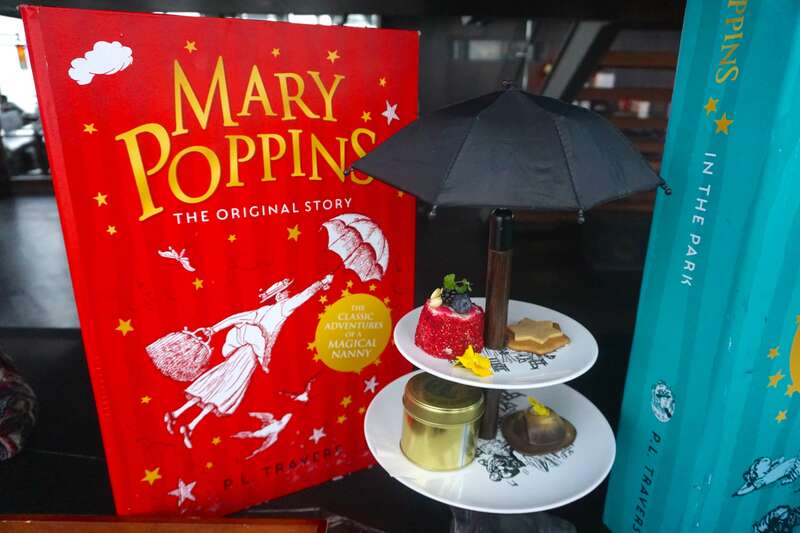 A lot of thought went into creating this afternoon tea to reflect the books. We had smoked salmon on crumpets, Mary’s favourite food, as well as Mrs Brill’s homemade scones. The savoury section was definitely my favourite part of the tea. The stand outs for me were the egg and truffle sandwich and the crab and cucumber brioche. For the sweets we had a chocolate version of Mary’s hat filled with ‘Cherry Tree Lane’ mousse as well as a “Strike Me Pink” sponge cake. This was certainly what they did! I loved the detail that they put into creating the perfect Alice in Wonderland themed tea party. Our menu was cleverly hidden within a vintage book and everything on it sounded delicious and tasted incredible. 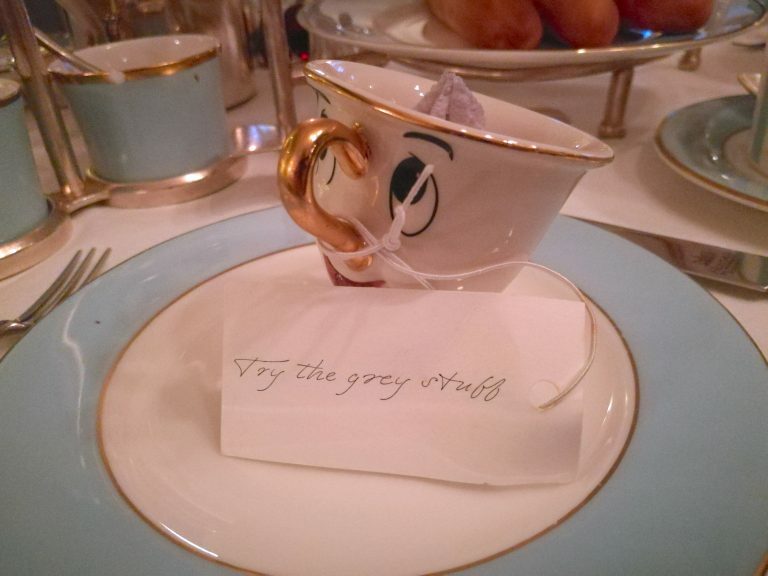 The way the tea was created to reflect the Alice in Wonderland theme was fantastically done. We were treated to playing card shaped jammy dodgers, a pocket watch macaroon, caterpillar and mushroom sweets and even Alice’s “Drink Me” potion. All this was combined with the traditional items found within afternoon teas such as scones and delicious sandwiches. These included parmesan croque-monsieur, smoked salmon and even quail eggs. The Mad Hatters Tea Party is located at the Stunning Sanderson Hotel and each guest is made to feel special and welcomed. 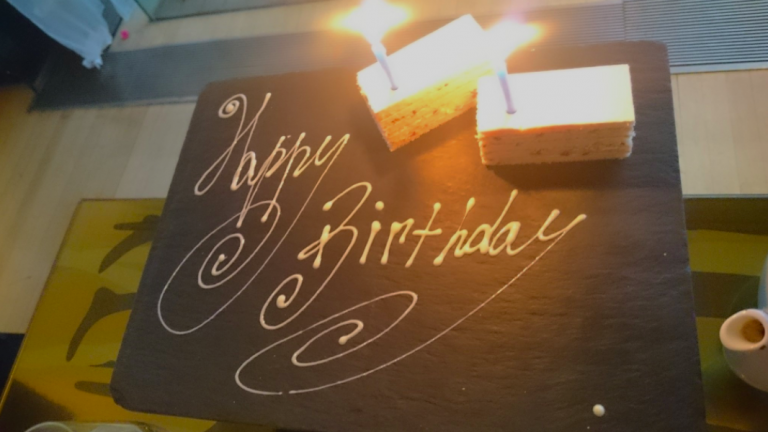 I actually did this tea with fellow blogger A Girl and Her Appetite as a joint birthday treat and when the staff found out they surprised us with a special birthday dessert. *Sadly themed afternoon teas must come to an end at some point. The below Disney themed afternoon teas are now unavailable. But if you’re looking for an English afternoon tea why not check some of these London Afternoon Teas out. 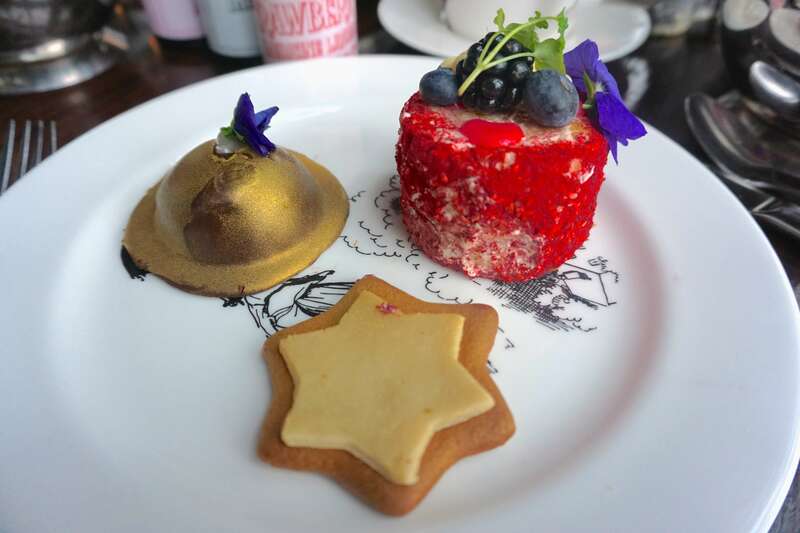 The Town House at The Kensington Hotel offers this special afternoon tea with a magical twist. From the moment you walk in you feel like you’ve entered the Beasts’ Castle. Well the dining room that is, not the dungeon! I love the attention to detail that went into creating this perfect Beauty and the Beast inspired menu. You’re almost singing the lyrics from “Be Our Guest” while reading the menu. Within Chip is a ‘white’ chocolate mousse with the tag “try the grey stuff it’s delicious”. Also taken from the lyrics, the tea serves up guests “beef ragout, cheese soufflé, pie and pudding”. Not only have the lyrics from “Be Our Guest” been incorporated into the tea but there are several references to the film as well. The teapot is of course Mrs Pot, the chocolate clock tart is Cogsworth, there’s a snowball macaroon to represent Belle and the Beasts snowball fight and even rose petals have been scattered about. 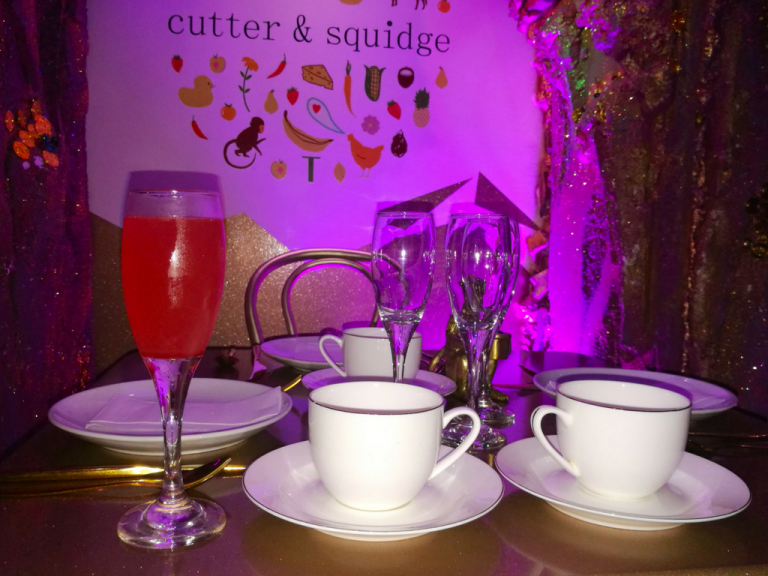 Proving you don’t have to be a fancy hotel in order to throw an amazing Disney themed afternoon tea, Cutter and Squidge invite you to ‘enter a whole new world of magic and treasure’ at their enchanted Genie’s Cave. I loved the way they had redesigned the downstairs of the cafe. You really felt like you had entered the cave of wonders. 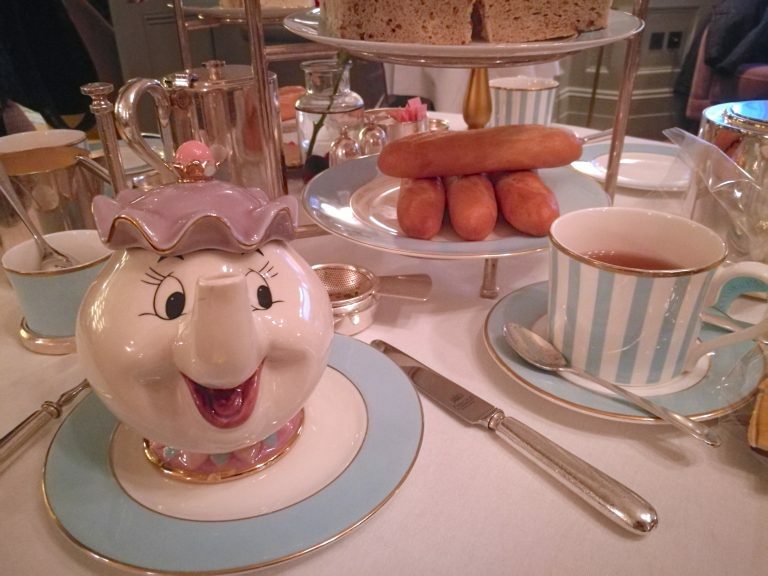 Out of all the disney themed afternoon teas in London, this was the only one to have a cultural twist on the menu. As Aladdin is set in the Middle East, the menu reflected this. I loved that they did this and it made it my favourite savoury food of the Disney afternoon teas. 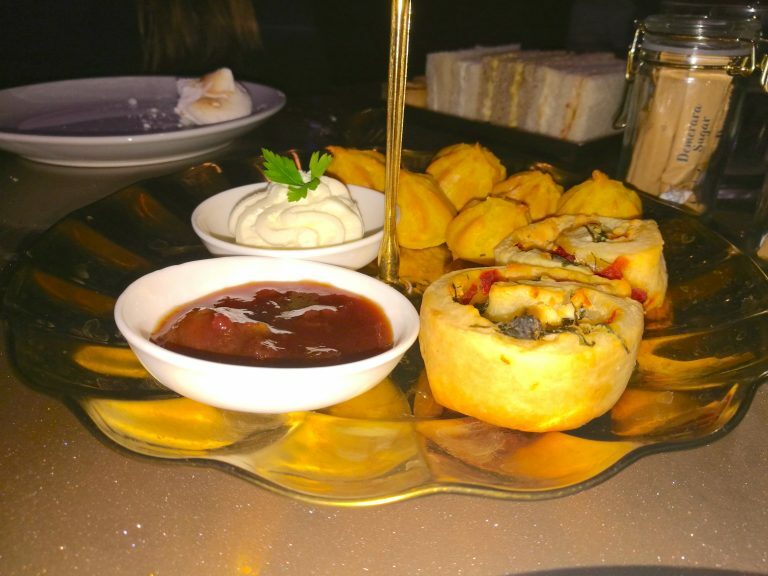 Instead of traditional scones, we were treated to delicious savoury scone swirls and golden cheese clouds. I think these were my favourite! Other tasty delights included a shortbread magic carpet, ruby topped dream cakes and one of Cutter and Squidges famous ‘biskies’ covered in edible gold. 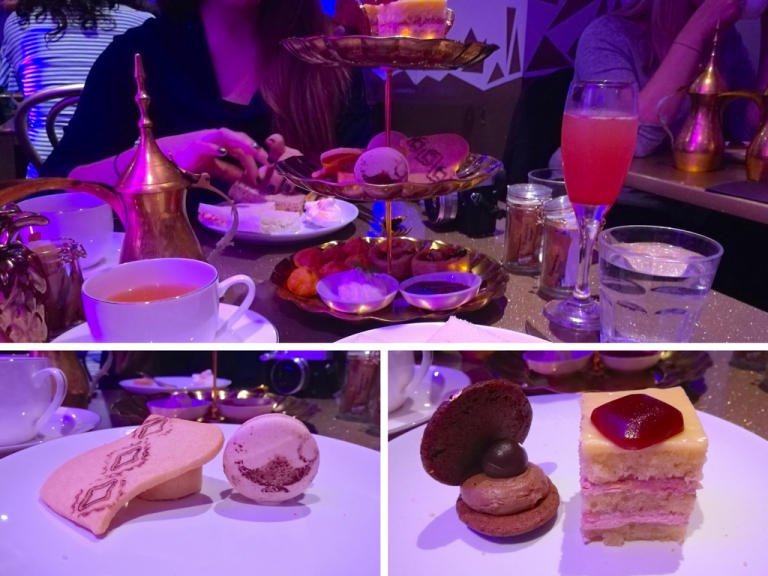 There you have it, some amazing Disney themed afternoon teas in London. Which would you want to try? 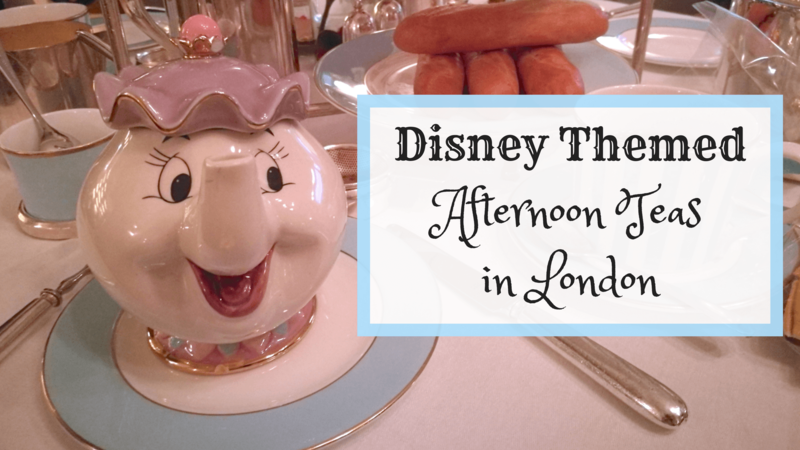 Is there a different Disney film you would love to see turned into a themed afternoon tea? 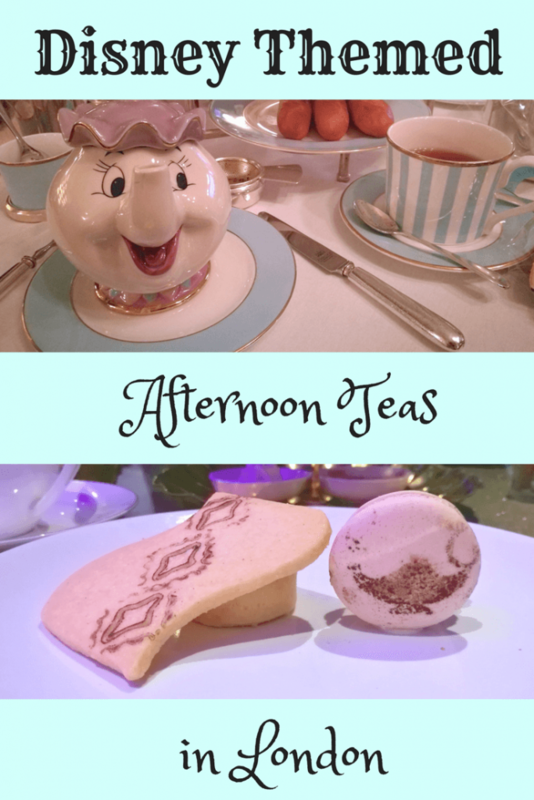 I personally would love to see a Dumbo themed afternoon tea!